Here’s a question for you: where will you be spending time next winter? Time does fly, and before we know it summer will have turned into fall and then comes that faithful friend–old man winter! People that are here looking at properties in the Palm Springs area now are likely on a mission. We see this every summer; summer buyers can be the most determined, the most serious, and the most prepared buyers because they want to be enjoying their new home or luxury condo here in the Palm Springs area next winter. They’re on a mission, and being here at this time just might give them a slight advantage. 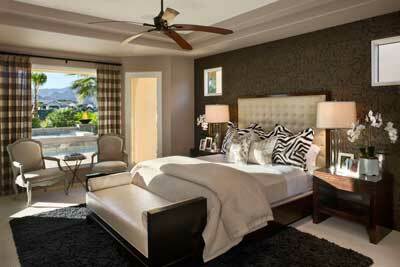 La Quinta Golf Home Master SuiteLet’s imagine that you’ve discovered a home that interests you. OK, it really interests you, and you can imagine your family and friends enjoying the resort lifestyle in that home throughout the coming winter. Here’s your advantage: there are fewer buyers in town today. So, instead of two or three other buyers interested in that same home you like, right now it’s just you and say one other buyer who’s phoning it in from out of state. Even if buyer number two submits an offer for the home from out of state (which happens more often than most buyers think it does), all things being equal, the seller will likely give more attention to the offer from the buyer who is in town. That’s a clear advantage. I often tell my Palm Springs area home sellers this time of year that the buyers who are here now and during the summer are the most serious buyers we see all year. They are determined, and many say they won’t leave until they’ve found their new Palm Springs area home. Since the inventory of Palm Springs homes for sale continues to tighten, every advantage you can give yourself as a buyer is worth considering. And it’s our job to give you as a buyer every potential advantage we can. May looks to be another record-breaking month for our Sheri Dettman & Associates real estate team as buyers continue to take advantage of great Palm Springs area real estate opportunities. Can we help you find your place in the desert sun before next winter? We’re here to help when the time is right for you.